Warren Municipal Field Complex is located behind the Warren Library at 99 Bardy Road Warren, NJ 07059. The arial map shows locations for individual fields at the complex (except M5, which is located next to the playground). Addresses for field locations are listed below. Notes: At the end of the road past Shoprite. Field is closest to the snack shack. 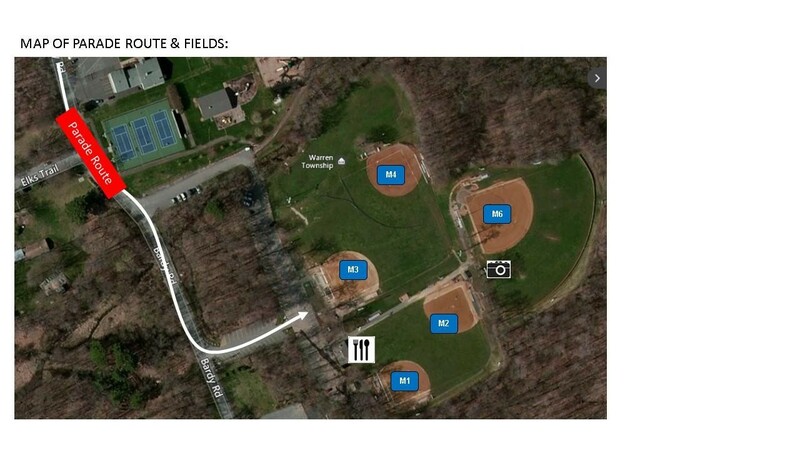 watchunglittleleague.org Notes: There is single-lane access road (Wiedman Way) that runs through a wooded area starting from the sharp bend in Brookdale Road.